Next stop: Glasgow Comic Con! 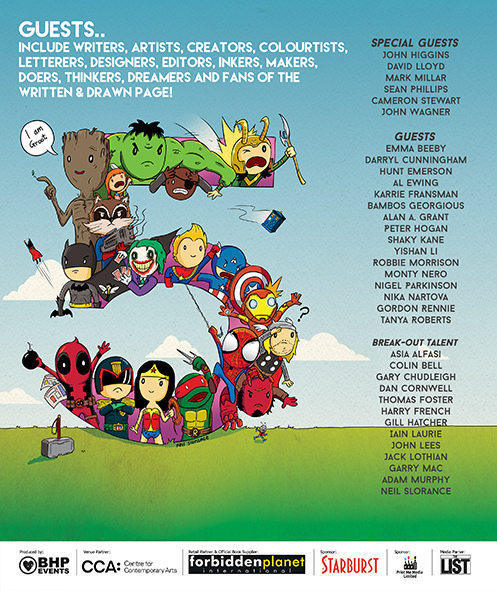 We’re delighted to tell you that we will be at Glasgow Comic Con on Saturday 4 and Sunday 5 July!! In our cupboard of books this time: we will have some copies of On Dangerous Ground, published by the National Trust for Scotland and featuring artwork by Conor Boyle. It’s a graphic novel of the Battle of Bannockburn and it’s a rip-roaring read. AND it has pages in 3D!! We’ll also have copies of political anthology CROSS, the inimitable Sentient Zombie Space Pigs and our most recent “small town weirdness” anthology Disconnected 3. So come and find us…. On Saturday, we’ll be at the Renfield (the cosplay hub) and on Sunday we’ll be in the Art School. Tweet us @DisconnectedPrs if you can’t find us! !